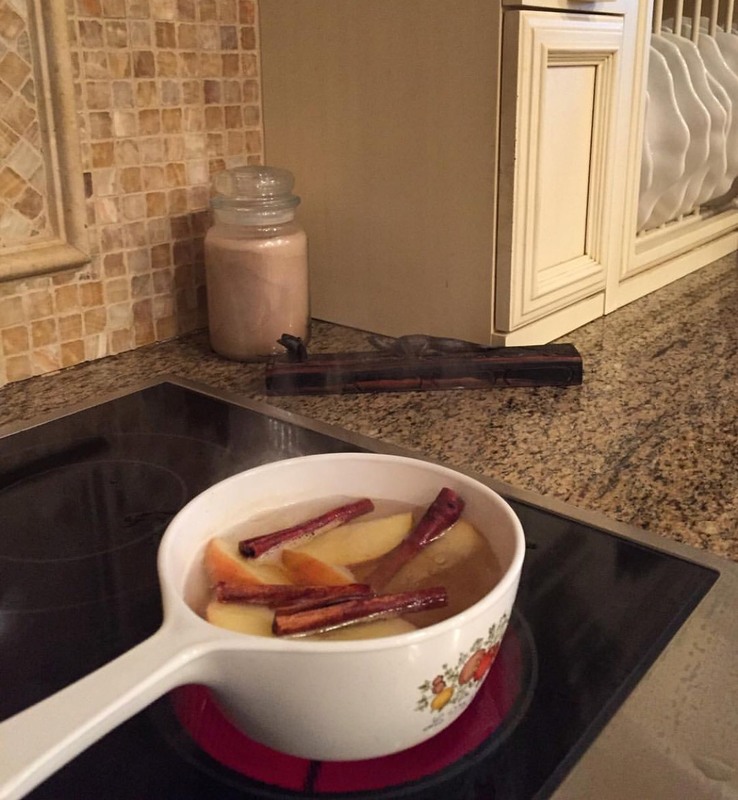 Try this Natural Air Freshener made with Cinnamon Sticks, Clove and Apples. Typical air fresheners sold that are marketed to help freshen the air in your home do not actually clean the air or eliminate odor, they are just masking the bacteria and odor. Second off, the air “fresheners” have many chemicals in them that are hazardous toward your health. Phthalates (pronounced thal-ates) are used in many consumer products and are harmful chemicals known to cause hormonal imbalances, birth defects, and reproductive problems when inhaled overtime. The Natural Resources Defense Counsil did an independent testing of 14 common air fresheners. None of which listed phthalates as an ingredient but uncovered these chemicals in 86% of the products tested, including those advertised as “all natural” or “unscented”. My DIY Natural Air Freshener’s Benefits: Cinnamon helps cleanse the air due to its anti-bacterial and anti-viral properties. Clove is a powerful immune system booster and antioxidant. If you want to take a closer look at some of the chemicals and hazards in commonly sold air fresheners, such as Febreeze check out this article. “Essential Oil Blends That Are Helpful to Clean the Air – BellaSentials.”BellaSentials. 2015. Web. 13 Apr. 2016. “NRDC Protect Your Family From the Hidden Hazards in Air Fresheners.” NRDC. Web. 13 Apr. 2016.